Cruising Conversations is a new series of video episodes designed to introduce you to many of the interesting “characters” and “influencers” who we are fortunate enough to spend time with as we go about our regular daily activities in the trawler world. We already have a lot of boating friends and are always meeting new ones as we walk the docks and spend time aboard trawlers at anchor and underway. We know we are lucky. Who wouldn’t want to have a job where you talk boats all day long? Yes, there is a lot of travel involved; but when we leave home on business we are normally traveling to boater friendly places, spending time on cool trawlers and always meeting incredible people. All of us at JMYS enjoy spending time on trawlers and especially savor talking with our friends – both new and old. It seems like everyone we know has a funny story or intriguing incident that they are happy to tell us about. Our work provides us an all-access pass to hang out with active folks who have wisely figured out that trawler cruising is an amazing way to spend the day. 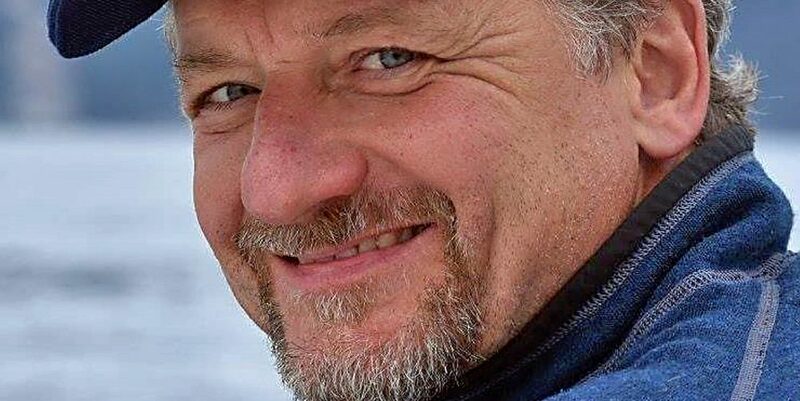 A common refrain and underlying theme is “it’s about time” (finally time to be a trawler owner operator and time to enjoy life to the fullest while you can). 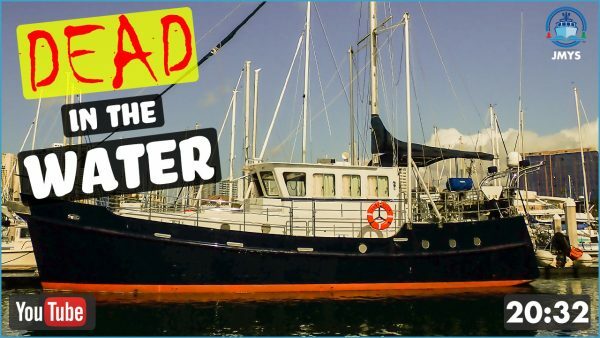 When the opportunity arises (and we remembered to break out our video equipment) we love shooting the breeze and talking trawlers – just press record on the GoPro and see what happens – no agenda and no ETA, it gets edited to make sense and then we post the completed video for you to watch. The personalities we interact with come from an eclectic range of interests and varying levels of boating experience. We work with “newbies” who have never boated and want to learn what it is like to go through the process of purchasing a trawler. We help serial-boat-buyers find their next “perfect” trawler. And we get mesmerized when seasoned trawler owner/operators regale us with insights and lessons learned from recent passages and long ago trips. At boat shows and trawler events we also find ourselves immersed in discussions with many of the most influential people in our business as well as pioneers, innovators, journalists, rock musicians, internet moguls and all sorts of everyday personas who say they are ordinary until they start talking about the extraordinary events they have enjoyed. Each person we meet helps us stay in tune with the trends and keeps us in touch with the market. Cruisers far and away are mostly fun and always interesting. They are giving and helpful. Casual conversations lead to “remember when” incidents that are often educational, usually entertaining and typically informative. It’s part of what makes the trawler phenomenon so appealing. Whether someone is talking about their own boat, a recent incident, a new project; whatever – hearing about what happens when you are out trawler-cruising never grows old, and on that note the time aboard helps to keep everyone young (at least at heart). Chatting with someone about their trawler and travels creates a dynamic way to learn for everyone. Cruisers are almost universally willing to share what they have learned and tend to remember best those lessons acquired “the hard way”. The funniest stories didn’t necessarily start out as fun, the recovery from a bad luck situation is helpful for others and the way they are shared can be wildly entertaining. 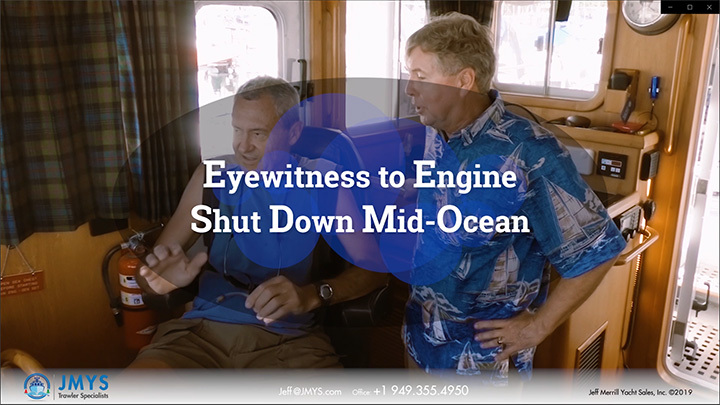 We are inspired by meeting with all types of cruisers on all sizes of trawlers with all types of ambitions – there is truly something for everyone and by filming these episodes we now have a way to pay back our appreciation by playing back the conversations. Each trawler, whether a one-off or a series-built production model, are all unique – if only the boats could talk (stay tuned we may have one of those coming up). The places these trawlers have been AND where they can go are amazing – picture postcards from paradise and the journey is just as enjoyable as the final destination. However, for us, unanimously –the best part of the trawler lifestyle is the people we meet. We hope you will enjoy watching each episode, maybe even see friends you know, and want you to take something away of value and relevance from each session. Thanks for watching and stay tuned for more to come.